SIOUX CENTER – Raquel Bautista was invigorated with a passion for making health care accessible to all people during a two-year stint with the Peace Corps in Senegal, West Africa. 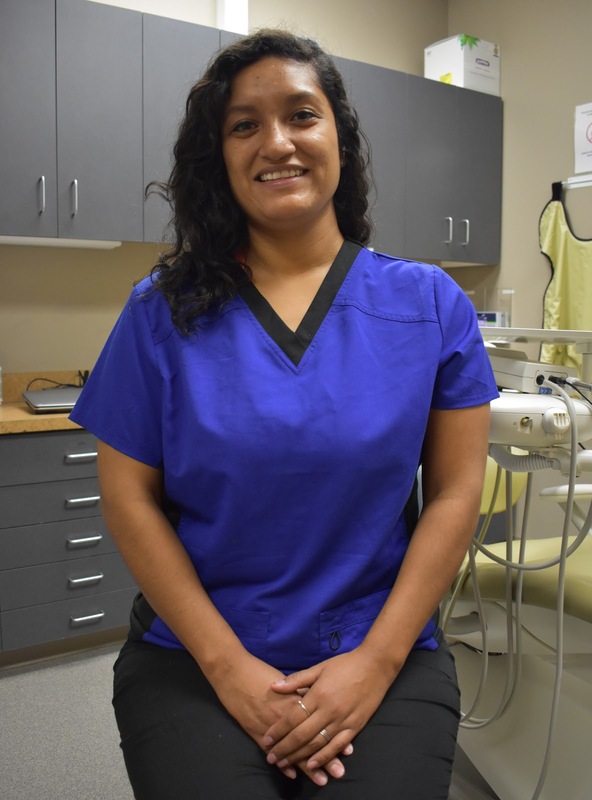 She now is excited to help make that happen as a new dental assistant and interpreter at Promise Community Health Center in Sioux Center. reaching out to underserved people. Bautista grew up in Sheldon, graduating from Sheldon High School in 2005. She later went on to the University of Iowa in Iowa City, where she earned a bachelor’s degree in art history in 2013. After serving in various jobs in the Iowa City area for a couple of years, she joined the Peace Corps in 2015 and served as a preventative community health education volunteer until April 2017 in Senegal. For those two years, she worked to integrate and educate her host community and surrounding communities with healthy habits that aligned with the Senegalese government’s goals and addressed community priority issues, such as malnutrition that compromised maternal and child health, infectious diseases such as malaria and diarrhea, and lack to access to clean water and sanitation. Her major project was the completion of 31 latrines for the entire village. In the process, Bautista also learned the local language, Pulaar. Bautista, who is fluent in Spanish in addition to English and Pulaar, also noted that she enjoyed visiting the dentist as a child and still does; therefore, she never understood the uneasiness that some people experience when they go to the dentist. Now, she hopes to put people at ease in new role. Raquel Bautista lives in Orange City. In her free time, she loves trying new activities, meeting new and interesting people, reading books, vacationing by the ocean, traveling, staying current on social justice issues and doing outdoor activities. She also enjoys films, art and “healthy-ish” living. SIOUX CENTER – Promise Community Health Center has gradually transformed the interior of its downtown Sioux Center building since opening in 2008. Nine years later, the former bowling alley building now is full. The health center recently completed a 2,200-square-foot interior expansion and remodeling project that filled the remaining vacant space in the west portion of the building. 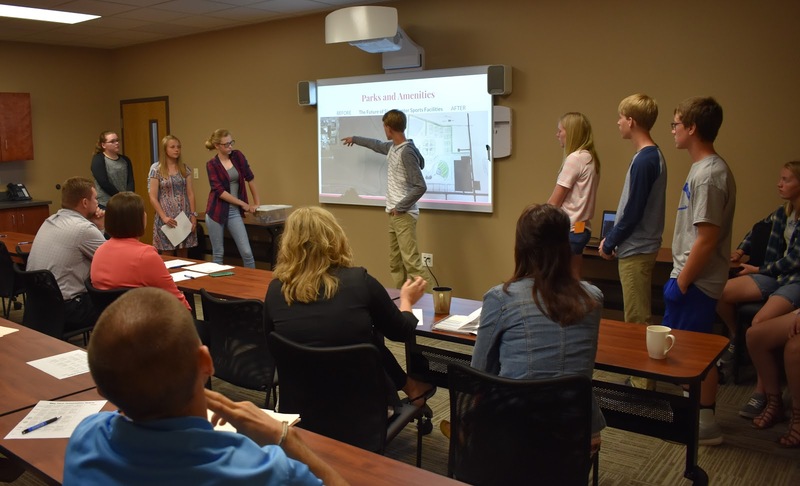 Schelling Construction of Sioux Center served as the general contractor. 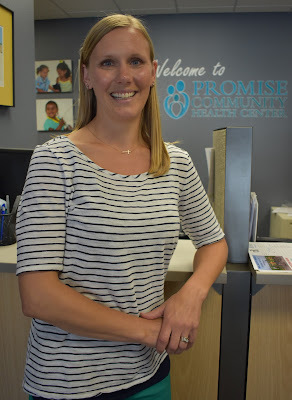 “The expansion and remodel of space at Promise says that we will continue to grow and change – always looking for ways that best meet the needs of those we seek to serve,” said Nancy Dykstra, executive director of Promise. The interior expansion project includes a much larger community education/conference room, two patient rooms and two offices. The vision/eye care program will move into one of the exam rooms in the near future, and the second exam room will allow for future growth. The two new offices are occupied by the executive director and chief financial officer. The project also involved the remodeling and reuse of existing spaces. The former conference room has been divided into four office cubicles – with two allocated to the family planning nurse educator and medical records specialist and two for future staff growth. The executive director’s former office has been converted into a small conference room. The other additional office has allowed the director of operations and clinic manager to have their own offices instead of sharing one. The relocation of vision/eye care will open up a needed exam room for the clinical staff. A workstation also was freed up for the new nurse health coach in the clinical setting – ensuring that she is accessible and available to the medical team and that the services are integrated. room of Promise Community Health Center. Promise’s staff also had outgrown the former education/conference room, so the larger space will accommodate all-staff meetings and trainings. 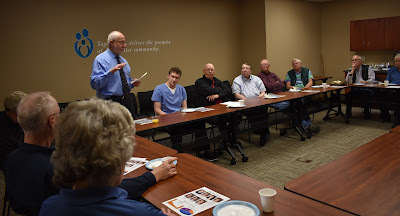 In addition, the larger meeting room – which is equipped with a refrigerator, microwave, cabinets and a large multimedia screen – will enable Promise to adequately host group education sessions for patients and community members, presentations and meetings by community groups, and board meetings. A dental wing expansion, including three exam rooms, was opened in January 2011. 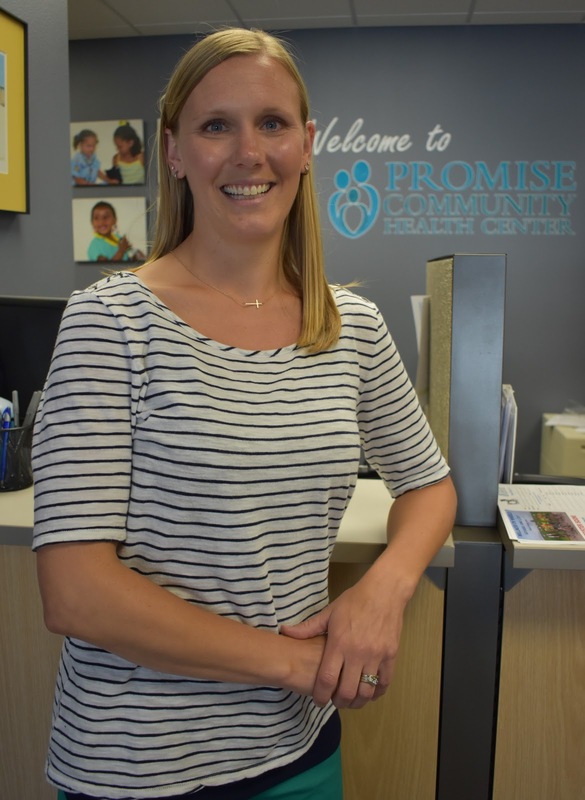 Promise completed a 3,000-square-foot expansion that included a new prenatal wing, a conference room, behavioral health therapy room, four offices and a break room in the summer of 2015. The front reception area and other areas of the health center also were remodeled as part of that project. Promise purchased the 15,168-square-foot building that it had leased since opening, including the portion occupied by Las Palmas Mexican Grocery Store, on Dec. 30, 2015. Construction for a major exterior renovation project is expected to commence in July. All four sides of the building will be refaced, a new front entrance will be created and new awnings will be installed on the front and back of Promise’ building. A successful $250,000 capital campaign made that project possible. SIOUX CENTER – Stephanie Van Ruler grew up in Sioux Center believing and dreaming that she had to go elsewhere to live out God’s plan for her life. But now she realizes that was “a narrow perspective.” Sioux Center is her place to serve others. Her life pathway now has led her to Promise Community Health Center, where she will serve in the newly created role of nurse health coach. to help them become healthier. In her role, Van Ruler will serve as a resource, care manager, advocate and teacher for individuals, providers, the school systems and the broader community. She will work one-on-one with individuals and their families both in the clinic setting and in their homes to evaluate health needs, environment and the barriers to better health. In doing so, she will help them establish a plan and guide them and their families along the way to achieve the plan. She also will work closely with local and state resources and agencies to ensure that each person receives the resources and support that they need. Van Ruler, who is fluent in English and conversational in Spanish, was drawn to this opportunity to “serve, love and walk beside” her neighbors right in her own community. Van Ruler’s desire to become a nurse started while she was a student at Unity Christian High School in Orange City. She was fascinated by the human body and how it worked, and she loved people. It seemed like a perfect fit. So, she enrolled at Augustana University in Sioux Falls and then later Dordt College as a nursing student after graduating from high school in 2003. However, as she started college, she started wrestling with and questioning the decision – wondering whether she was choosing nursing because it felt safe and was what she wanted or because it was where God was guiding her. To reflect more on her life calling, she took time off school and spent nearly six months living with a family in Honduras in 2004. “The time I spent there helped me see that nursing and caring for others in some of the most vulnerable times of their lives was God’s call for me life,” she said. Van Ruler earned her associate degree in nursing (RN) in 2007 from St. Luke’s College in Sioux City and her bachelor’s degree in nursing (BSN) from Dordt College in 2008. She then began serving at Sioux Center Health in June 2007 – both as a staff nurse and care coordinator. She served a variety of roles in the hospital setting, including medical and surgery, labor and delivery, postpartum and emergency department. She then served as a medical clinic nurse at Sioux Center Health for the past four years. She’s now is eager to delve deeper into her new role at Promise. 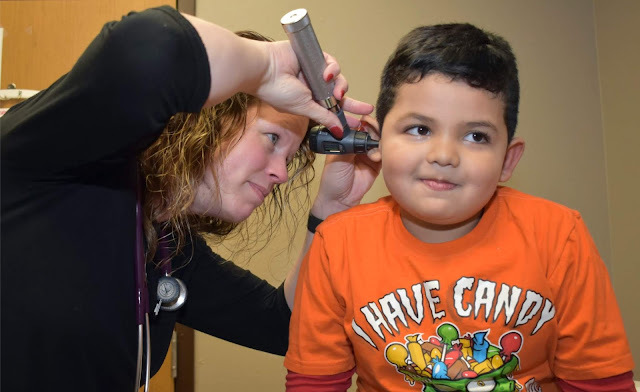 “I am excited to work with people who have a desire and a passion to create a healthier community by serving and partnering with their patients,” Van Ruler said. Stephanie Van Ruler and her husband, Daniel, live in Sioux Center and have three children, Amayah, 5, Addisyn, 5, and Kadrian, 3. In her free time, she enjoys running, reading, scrapbooking and camping.